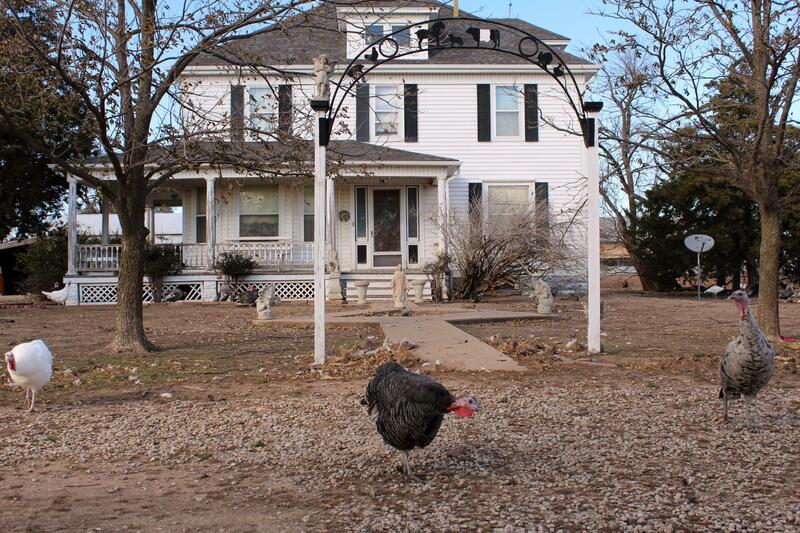 A turkey pecks for food outside of Frank Reese's century-old farmhouse. Heritage turkeys need space to roam, and grow three times more slowly than those raised on commercial farms. 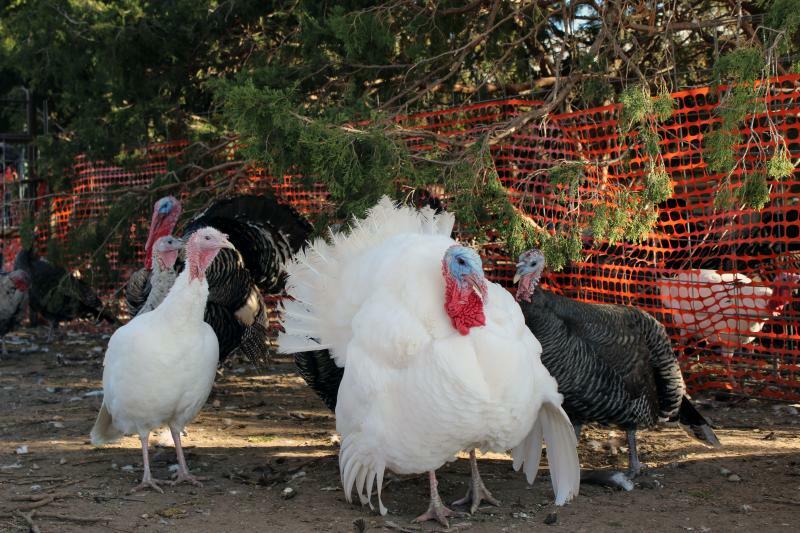 Many breeds of heritage turkeys, like these White Hollands, are rare or even endangered. Reese opened Good Shephard Poultry Ranch in 1973 but has been raising turkeys for nearly sixty years. Reese has to part with thousands of turkeys each year, all of which he raised from eggs. Frank Reese worries about who will raise his turkeys after he is gone. 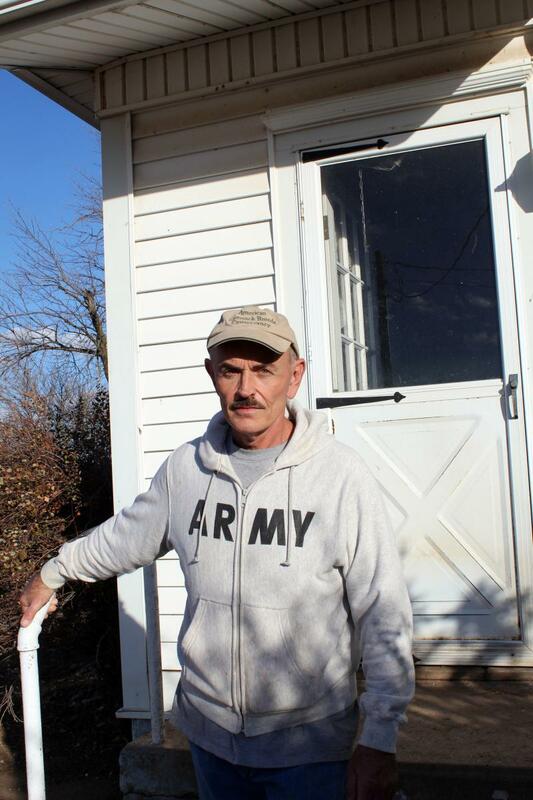 For Kansas farmer Frank Reese, Thanksgiving is a sad holiday. He raises heritage turkeys, a breed very different than those you can buy at in a modern-day supermarket. Few farmers in this country are still raising that kind, and many breeds of the bird are endangered. 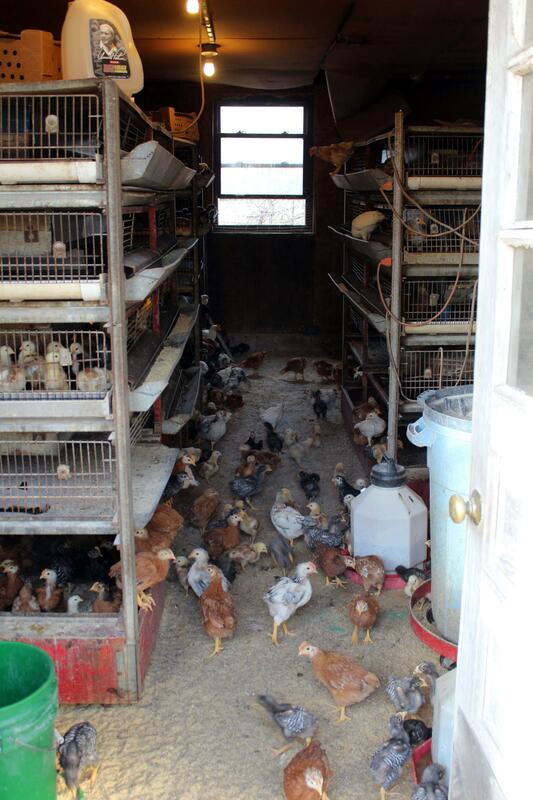 To finance his preservation efforts, Reese has to work two jobs, and sell hundreds of birds a year to slaughter. 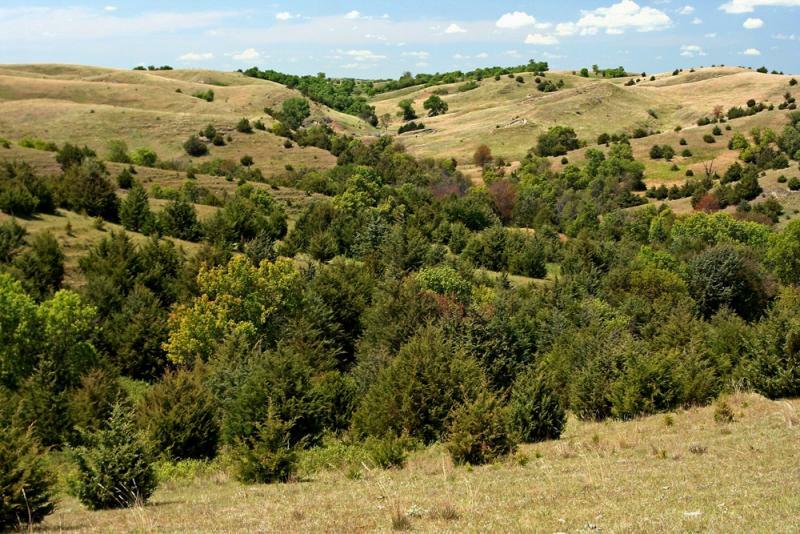 Reese has lived on a small farm in Lindsborg, Kan., for the past 20 years. Behind his century-old farmhouse are the open-air pens where he keeps his birds. He is a fourth generation poultry farmer who raises five varieties of heritage turkeys, some found nowhere else in the world. "I can’t remember a time when I didn’t love poultry," says Reese. "I grew up on a family farm and we were all given chores and I was in charge of the chickens." As a young man, Reese was part of the 4-H club where he learned to breed turkeys and other poultry for show. "I was state champion many times and I got to go to a lot of national shows," says Reese. "I just knew that’s what I was going to do, show chickens turkeys and ducks, geese everything." That’s how Reese met his mentors. They taught Reese how to handpick the right breeding turkeys and raise them. "Probably the most important, and at the last, there was Norman Kardosh, he’s the one who taught me a lot especially in the last 20 years," he says. Just before Kardosh passed away in 2004 Reese made him a promise: to spend the rest of his life saving the heritage turkeys . 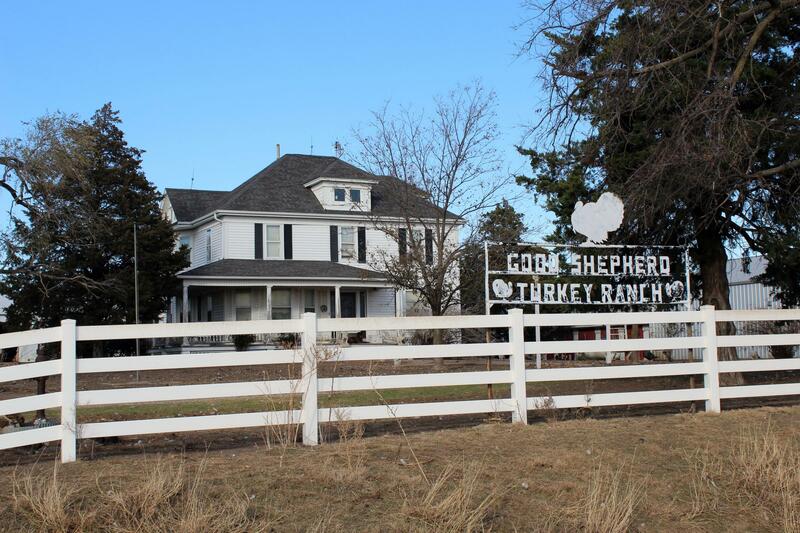 Reese opened Good Shepherd Poultry Ranch in 1973, when most farmers were switching to new breeds of turkey that yielded more meat. Reese stuck with the natural breeds he had always known, and he is now one of the largest producers of heritage turkeys in the U.S.
His turkeys have been recognized by chefs like Martha Stewart and Bobby Flay. "Usually people are quite shocked they don’t know what real turkey taste like," he says. 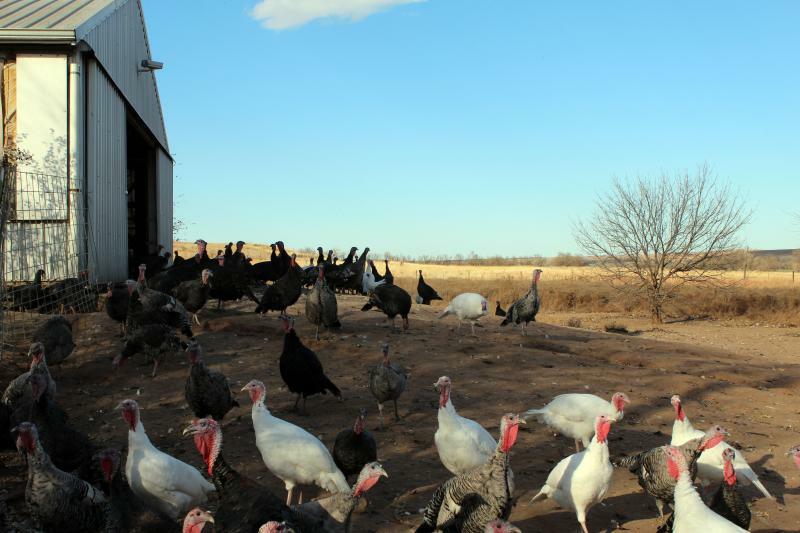 Because of their breed and natural lifestyle—roaming free, roosting and eating bugs, the turkeys have more dark meat and a distinct taste, nothing like a commercial turkey. Approaching the Thanksgiving holiday, Reese’s farm feels a bit empty with only a few hundred birds running around. Reese has just sold his flock for the season, and 4,000 birds were shipped off to a distributor in New York where the birds sell for more than $80 each. "I did an interview with a lady in New York and she said do you realize some people pay as much as $200 for your turkeys," says Reese. "But I said of the $200, I get $22 of it." Because Reese is a small an independent farmer he says that money goes to paying for processing, trucking and shipping. "I’ve got to feed the parents, hatch the eggs, raise the babies so when I get finished, I might make $5 per turkey," he says. To supplement help pay for his turkey farm Reese has a day job as a nurse anesthetist. "For me it’s all about the birds. the first motivation and this is probably the hardest thing for people to understand is my pure love for it," he says. Unlike most farmers, who take satisfaction in feeding people, Reese says he’d rather just focus on the breeding and conservation of his birds. "I hate killing my birds," he says. "The day we load them for thanksgiving is traumatic for me I hate it because I’ve known them since they were eggs and their parents are right there. But I don’t have any other way of generating money to save their lives." Keeping these birds around is important to Reese, but now he is struggling to find someone to care for them once he’s gone. "I’m going to be the end of it in my family. None of my nieces and nephews are going to come back here and farm," he says. Not quite sure how to carve a turkey? 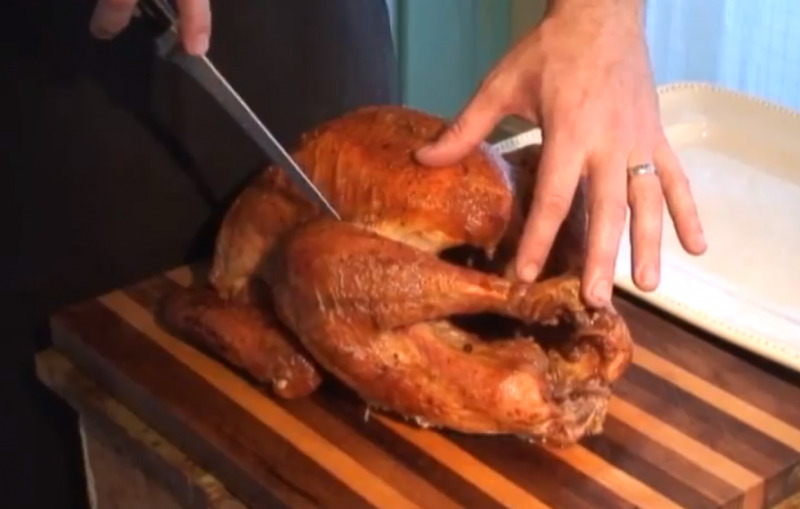 Chef Ted Habiger of Room 39, demonstrates the secret to carving the holiday bird in his home kitchen. Chef Ted Habiger suggests starting the process the night before.